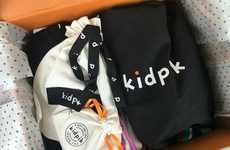 kidpik, which creates monthly clothing subscription boxes for girls, is relaunching basics by kidpik with a vibrant Spring 2019 collection of simple clothing for kids and "not so basic basics." The clothing pieces are all about ultra-soft and stretchy materials, as well as timeless styles that can be ordered in multiple colorways. 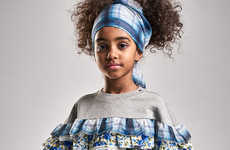 The simple outfit-building collection has the potential to fill a child's closet with staples that will get plenty of use throughout the season and have the potential to support other in-demand styles, patterns and colors of the moment. To make it easy for parents to quickly and easily build a collection of versatile clothing options for kids, basics by kidpik prices all items in a way that offers two items at a discount.